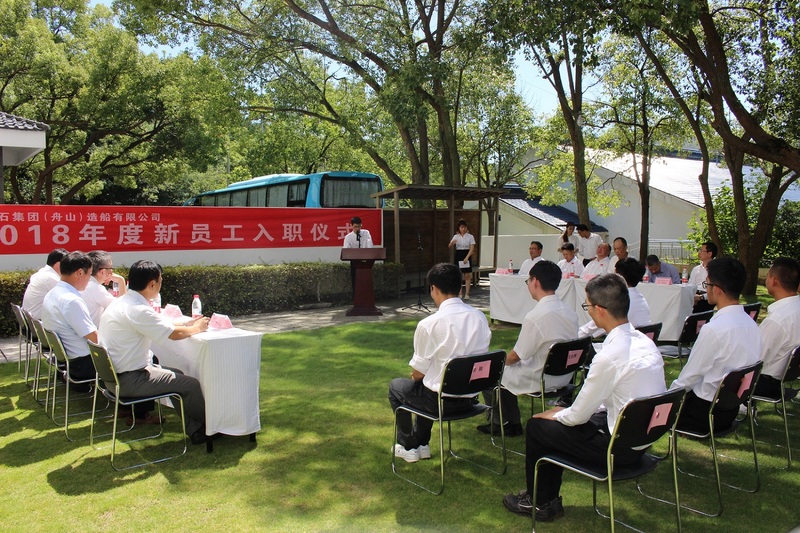 TSUNEISHI GROUP (ZHOUSHAN) SHIPBUILDING BY2018 New Employees Initiation Ceremony | News｜TSUNEISHI GROUP (ZHOUSHAN)SHIIPBUILDING INC.
On August 31, TSUNEISHI GROUP (ZHOUSHAN) SHIPBUILDING (Location: Xiushan Island, Daishan County, Zhoushan City, Zhejiang Province, China; President: Jiro Sato; hereafter: TZS) held BY2018 Initiation Ceremony to welcome 15 new employees at Guest House. 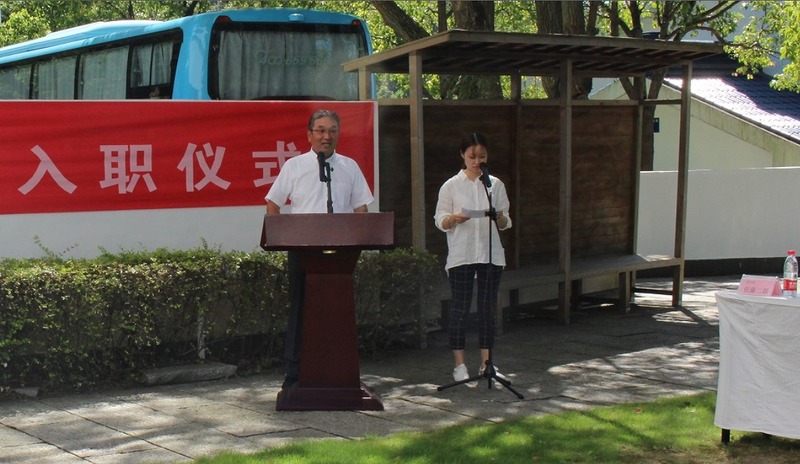 At the ceremony, President Jiro Sato made a speech to welcome the new employees, “from today on, you have taken the first step to becoming a member of TZS, as well a member of society. Please get quickly accustomed to your new workplace, learn about the work from your senior colleagues, and approach your work with the spirit of taking on challenges. I hope that you will become competent for working in near future, and grow better and strongly together with TZS. I am looking forward to your successs in future. For BY2018, altogether there are 15 new employees, 6 in Construction Dept., 4 in General Affairs Dept., 1 in Planning Dept., and 2 in Business Dept., and 2 in HSE Dept. It is scheduled that they will start to work at the departments assigned after receiving orientation training from September 12th to 21st. 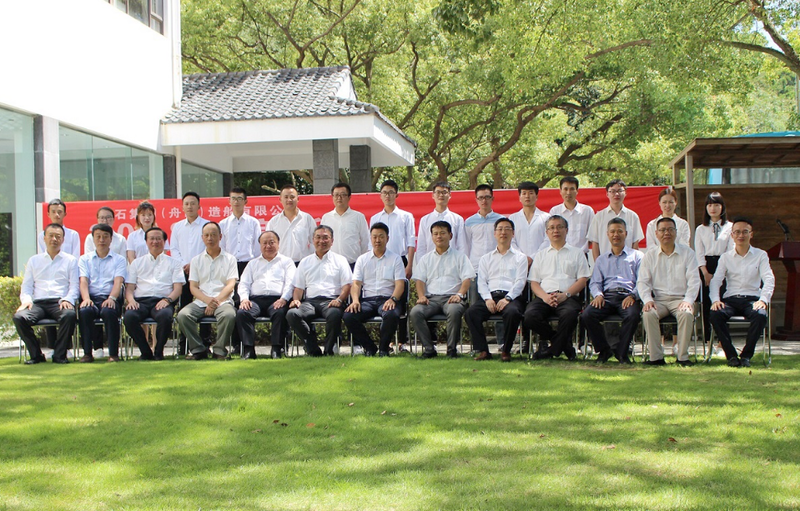 ◆About TSUNEISHI GROUP (ZHOUSHAN) SHIPBUILDING, Inc. This shipyard, the Chinese group company of TSUNEISHI SHIPBUILDING Co., Ltd. (Head office: Fukuyama, Hiroshima Prefecture, Japan) located in Zhejiang Province, China, has the capacity to build about 30 vessels per year, centred on bulk carriers in the 30,000-100,000 ton range, as well as containers, tanker vessels and livestock carriers. Main facilities: Two berths, one building dock, two 700-tonne gantry cranes, one 3,000-tonne floating crane, etc. Ship types delivered: Bulk carriers, Container carriers, Tug boats, livestock carriers, etc.